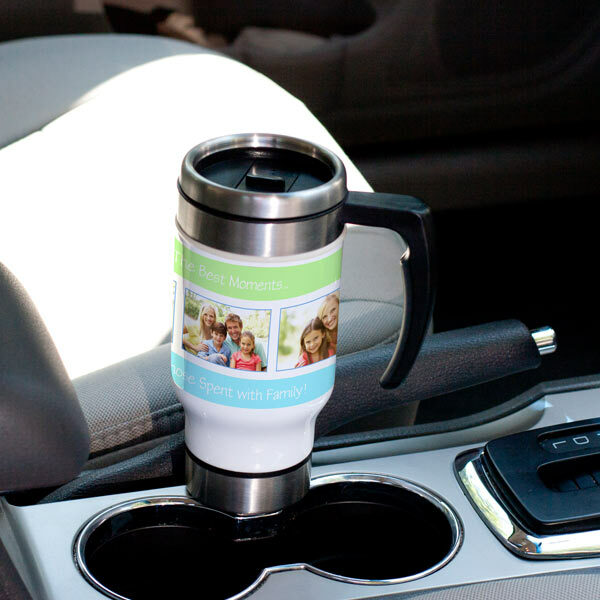 Start your day with an on-a-go- travel coffee mug, and bring a smile to your morning commute when you take your coffee in a personalized travel mug. 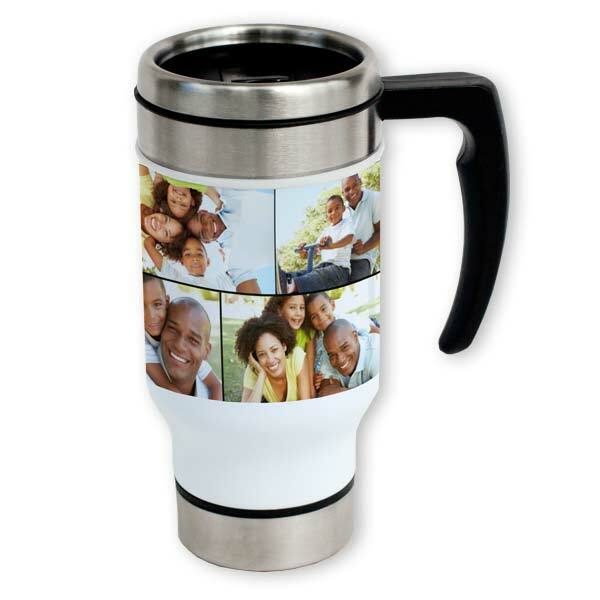 Add pictures and text and design your own custom mug you can take with you in the car. Also makes great gifts for someone special in your life! 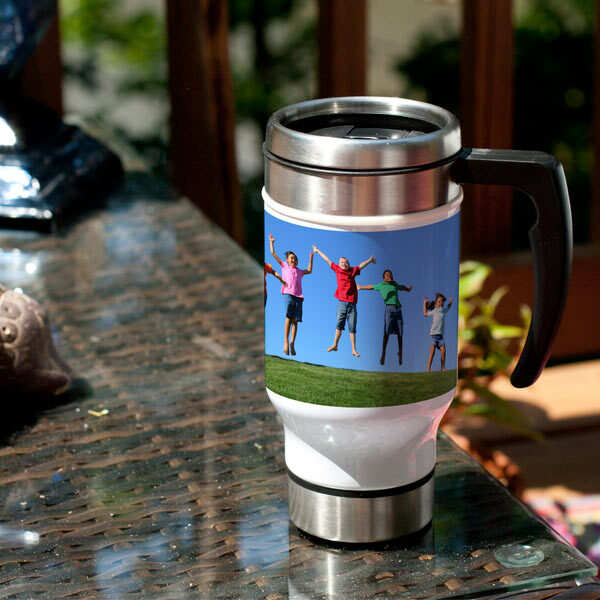 For other customizable gifts, check out our wide selection of photo gifts! Ordering and customizing was pretty simple. The service was great as well. I overlooked a mistake I made in making the design and noticed too late (they’d already printed and shipped it), however they were understanding and were able to accomadate a replacement with the corrected design! I would definitely recommend and be willing to purchase from Mailpix!